SMEs go digital, with business a click away! Flexiloans / Fintech / SMEs go digital, with business a click away! India has been an economy that extensively revolved around hard cash for any business exchange. 85% of our labour force received wages in cash. Wondering why? Well, the absence of bank accounts for more than half of our population could be the rationale. More than 95% of our recorded trade transactions have been dealt with in cash. Our robust online market had a plethora of payment options available, from debit or credit cards to wallets and more, yet most online shoppers preferred the traditional Cash on Delivery (COD) option. All this came to a screeching halt when overnight our Government scrapped two big value notes, to make hoarding impossible and illegal transactions traceable. Along with this move came many more challenges for common man and businesses at large. A cash crunch and inability to access sufficient funds made people hold on tight to every penny in hand. As a result demand drastically dropped, trade dealings suffered and businesses came to a standstill. As adaptable a creature man is, soon we began to find avenues to deal with this sticky situation. Post the note ban, people began to feel the pinch. Long withdrawal queues at banks and scarcity of funds in ATM’s were a common sight. Transactions could be fulfilled merely through swiping debit and credit cards. Businesses now had to invest in digital terminals to stay afloat. 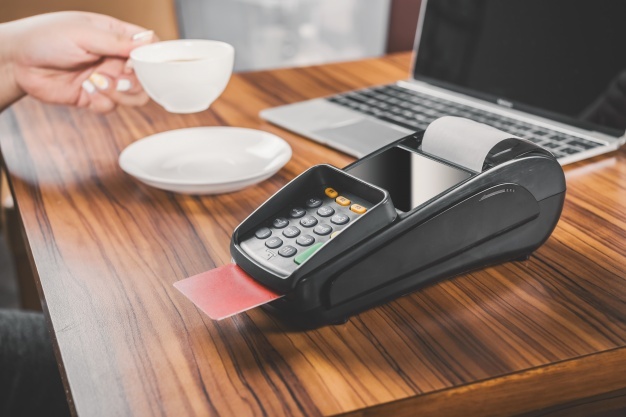 The number of point-of-sale machines sold and installed at merchant outlets was unparalleled. But the fact remained that 85% of our rural area population had no access to debit or credit cards and even traditional courier services. We must acknowledge the role smartphones played in helping us Indians make headway in the rapidly advancing digital world. It has changed the way we communicate and transact. Consumers seamlessly adopted the e-payment options from banking applications to e-wallets. One such mobile payment platform was Unified Payments Interface (UPI). It was released in August 2016, and accounted 300,000 transactions amounting to Rs 90 crore in November 2016. That number grew to an astounding 1.4 million transactions, worth Rs 480 crore, by December 25, 2016. The surge in growth for mobile wallets saw no bounds. In the first two weeks of demonetization, one million new e-wallet users joined the force. From local kirana stores to vegetable vendors and even mid-size super-markets every business seamlessly turned to digital payment methods during the cash crisis. This further led to ease in transacting, accountability, and transparency. The digital footprint of SMEs emerged, bringing orderliness to chaos in a predominantly unorganized sector. As SMEs become more proficient in adapting to a cashless market, this will in turn lead them into the ecosystem of an established organized sector. We have noticed the digitization of payment structure, an upgrade in their know-how in latest technology could add immense value. The increased popularity of social media has ensured business websites, social business profiles or even linking to an e-commerce platform for sales has great impact on business transactions. The awareness generated through this online medium has helped small enterprises stretch their presence across the country and sometimes even the globe. SMEs operate on a limited working capital. Their ability to spread their presence and capture markets with the least amount of capital investment is vital. E-commerce platforms help SMEs spread their wings across the globe and break multiple barriers such as language, physical presence and credibility. Greater the digital presence, larger the market and wider the customer base. Digitization of processes have helped in creating transparency within enterprises. Off course payments have gone digital, along with it so have invoicing, capturing transaction records and financial accounting processes. Transparency and operational excellence across locations has aided in smooth transactions of business deals. Along with digital transaction records an SME will now be able to capture enormous volumes of data across customer touch-points. Widely and freely accessible online analytic tools can help these small enterprises analyse its customer requirements and preferences and customize products accordingly. Such expert knowledge can help enterprises market themselves effectively and appropriately to the target audience. Finally, what is crucial for SMEs is easy access to line of credit. Be it, small business loans, working capital loans or even micro credit. Digital lending platforms like FlexiLoans help facilitate working capital finances to SMEs within few days. SMEs with a digital footprint are welcomed to take advantage of this express line of credit to expand their horizons and initiate momentum in their growing stage. 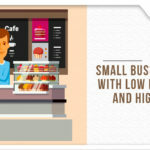 Such benefits help SMEs fulfill growing demands without hesitation and in-turn expand and flourish swiftly. The power of the digital world is a force to be reckoned with, if adopted correctly and used wisely. SMEs play a vital role in facilitating the growth of India’s economy. This year (2017) is expected to be a game changer with the digitization of the Indian consumers, which is key to digitizing the economy. The government is focused on the initiative to drive a digital economy thus giving power to the SMEs. Home » Blog » Fintech » SMEs go digital, with business a click away!